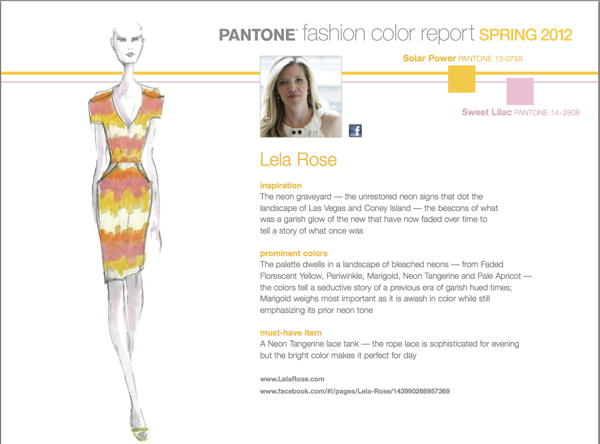 Many of the local trend research companies report updated data for the Fashion Industry, in general for each season. 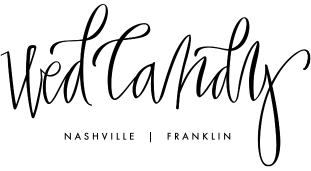 The best part about many of these reports is that they can EASILY transcend into all things Bridal. If you think – especially in regards to color – rolling these trends into not only your bridesmaids dresses, but your florals, your invites and even your linens. 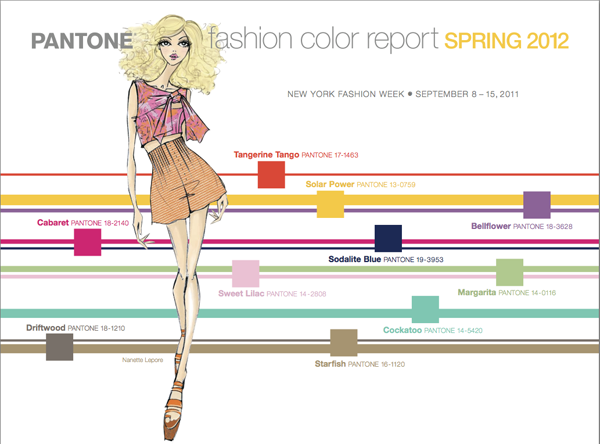 The Pantone Fashion Color Report for Spring 2012 was debuted during New York Fashion Week. 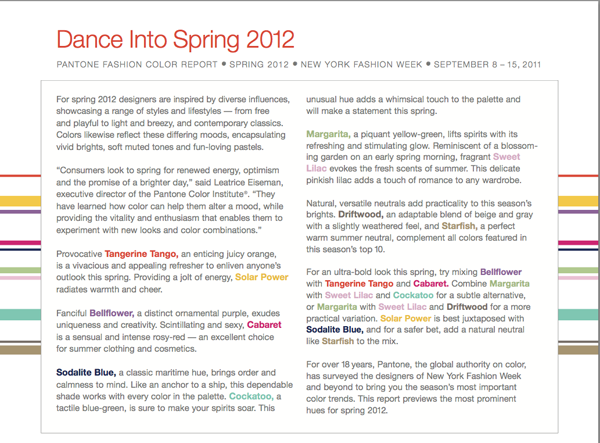 Many of these colors speak of “renewed energy” and would be beautiful when translated into any Wedding setting planned for Spring forward. I dream in Tangerine Tango….